5 Big Companies Launched VR Platform This Week: VR Livestream, Facebook’s First VR App, and More. 5 Big Companies Launched VR Platforms This Week: VR Livestream, Facebook’s First VR App, and More. Experiencing virtual reality has always been magical, fun, and sometimes unforgettable, and it makes us want to share the experience with everyone — because it’s really, really good — but that was always a problem. Well, not anymore after Oculus announced a VR livestreaming gaming session from Gear VR on their official site. All you have to do is just select the “Livestream to Facebook” button from the Universal Menu in VR. What you see on Gear VR will be posted on Facebook. However, it’s only available for a Gear VR outside the United of States, but should be coming soon to Samsung phones in the next weeks. One of the biggest animated GIF platforms is now in the game. Featuring GIF works by 20 artists, Giphy has launched a new VR app called Museum of GIF Art (MoGA). This is the kind of museum you will never find in real life, as it’s all virtual world full of animated GIFs, where the hanging pictures are moving, and everything around you feels like a dream. Museum of GIF Art is compatible with any mobile VR viewer, such as BeThere Book, and you can freely download the app on Android and iPhone. It’s also available on HTC Vive. Vimeo is finally attending the party of 360 content! Unlike its competitors, Vimeo offers special features for its 360 content creator, such as customizing settings for FOV, outro, and other features, uploading the video up to 8K, giving basic and in-depth tutorials regarding 360-degree video. It also allows you, as a content creator, to sell your content with a pro or business membership. Vimeo 360 is available on their website and on their mobile app (Android and iOS). It supports VR headsets, e.g., Gear VR, Google Daydream, and BeThere Book. HTC and Oculus supports are coming soon. Like Instagram but all in 360-degree, Facebook launched a new VR app, “Facebook”, allowing you to explore 360-degree photos and videos on Facebook. To date, there are already 25 million 360-degree photos and more than 1 million 360-degree videos posted on Facebook; there should be plenty of great content to discover then. With Facebook 360 app, not only can you discover most interesting and popular 360 content on Facebook, but you can also follow and save 360 content. Facebook 360 app is now available on Samsung Gear VR — probably considering the fact that 80 percent of Gear VR’s users watch video on the headset. By the release of CNNVR, we get the idea that in the future we probably won’t just read the news, but we can also virtually visit the location of the news, see what’s really happening, and get better information. And, that’s exactly what CNNVR does: Transporting you into the news that matters. For now, CNNVR is exclusively available on Daydream. Furthermore, the 360 content is available on their website at CNN.com/VR, which already features some 360 content that will take you into Syria, Iraq, Colorado, and more. Although this is not a VR platform, let’s celebrate it because Shazam, an app that helps us to find a song that we don’t even know the title, is embracing the future. On Tuesday, Shazam announced an augmented reality platform for its brand partners, artists and hundreds of millions of global users. 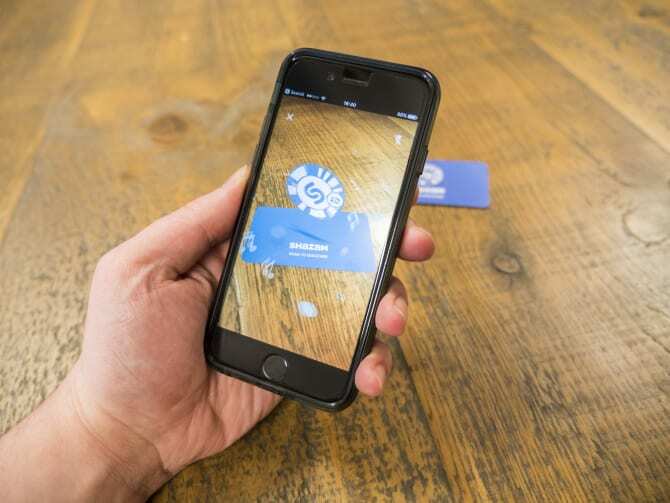 With Shazam AR, we can bring any marketing materials to life just by scanning a unique a code called “Shazam Codes.” These codes will deliver AR experiences to the users, for example, 3D animations, product visualizations, mini-games and 360-degree videos. Shazam AR works with all iOS (Shazam v10.5) or Android (Shazam v7.5) devices. So, according to this list of new VR platform, which one makes you excited the most?